"Blueberries," 16"x16", oil on wood. "Two Pears," 16"x16", oil on wood. "Cherries by the Window," 16"x16", oil on canvas. "Bouquet," 16"x16", oil on wood. 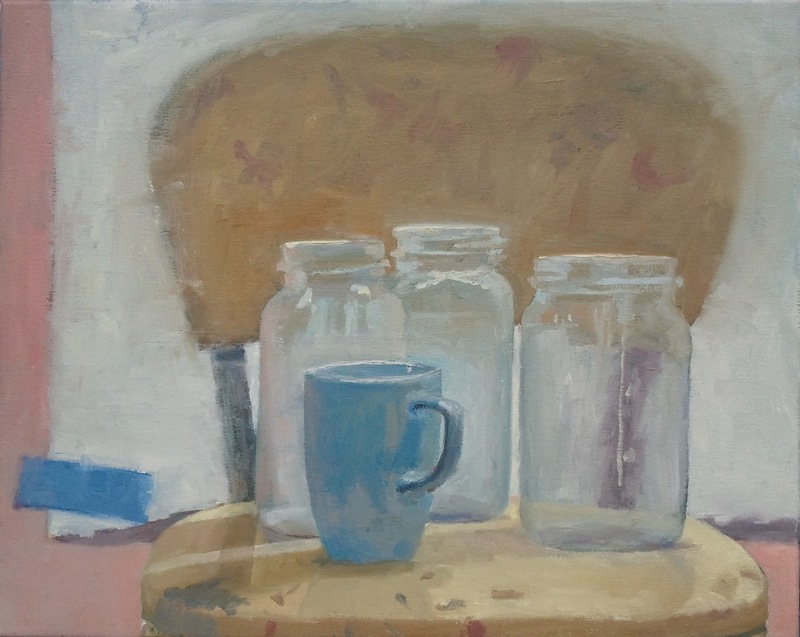 "Still Life with Jars, Mug and Blue Tape," 16"x20", oil on canvas. "Still Life with Jar, Mug and Lily Seedpod," 16"x20", oil on canvas. "Still Life with Jars, Fruit and Painting," 16"x20", oil on canvas.